There are many things to love about the Uniqlo 3 Way — not least it’s value for money. At £34.90 (~$47USD at the time of writing) this is one heck of a deal. I’ve been using an earlier version of this (Cordura fabric) as a day bag for a while and simply love it. 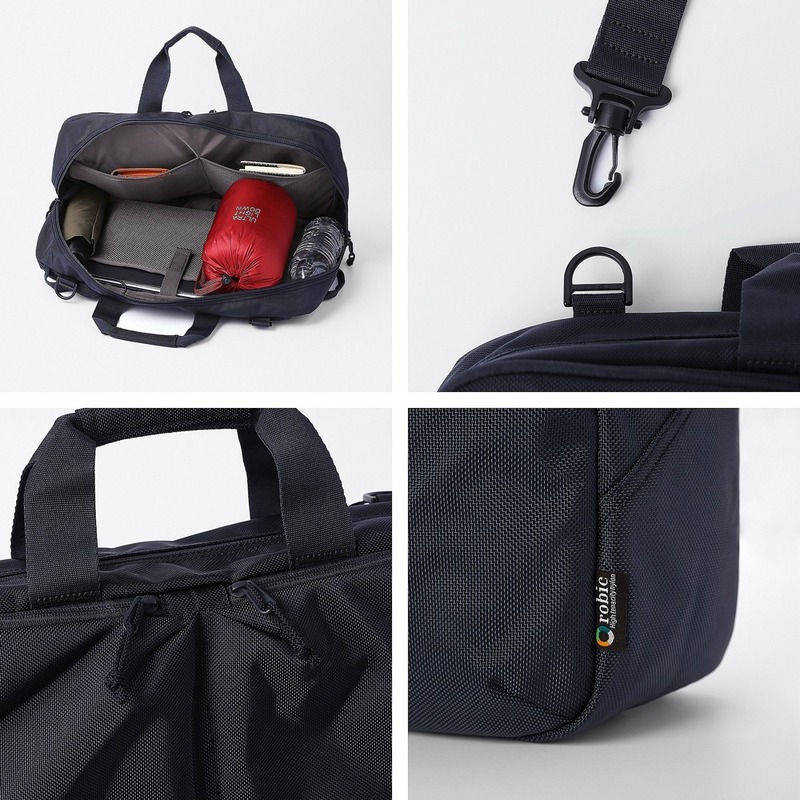 It’s full of pockets, there’s plenty of room for a cable bag, lunchbox, and notebooks inside and it takes seconds to convert to a backpack from shoulder bag/briefcase. This also doubles as my carry-on bag on those rare occasions a suitcase is required. This updated version also comes in navy which is, according to Uniqlo, “ideal for business situations”! If I had one gripe, and it’s a small one, it would be that the shoulder strap isn’t padded — but as I say that’s a minor point. There’s no dedicated laptop section but as I tend to carry mine in a padded sleeve, and given that one interior section has a mesh pocket with velcro closing, I am not concerned about potential damage. Given how expensive many backpacks and daypacks are these days it’s refreshing to find something this good for this price. I haven’t seen this available in-store very often so ordering online is advisable.